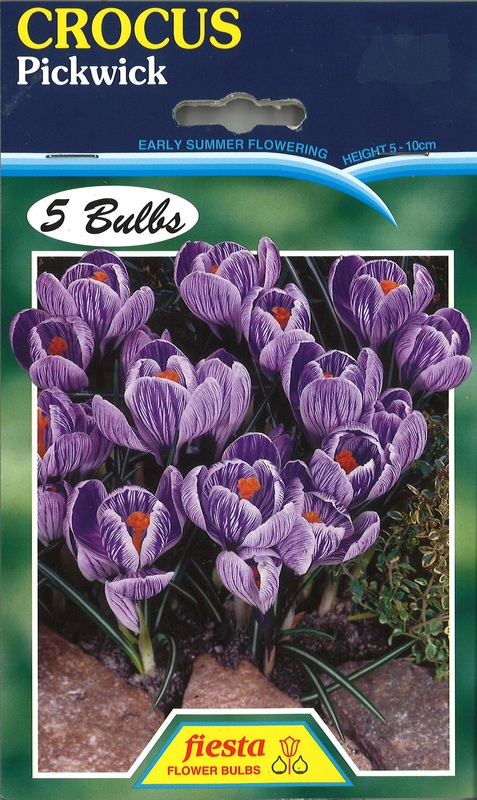 Oderings | Crocus Pickwick - one of the first winter/spring bulbs to flower. These very fine Species coming from Greece and Asia Minor grow and flower to perfection in cold Winter districts. Ideally planted in bold groups under large deciduous trees or in a cold shady nook in the rockery. 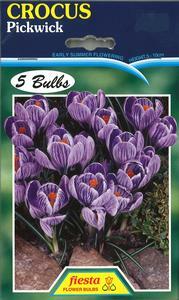 Plant bulbs in well worked soil 5-8cm deep, 8-10cm apart and leave undisturbed for years. For best results year after year feed with bulb food.